These events are designed for those who would like to find out more about their personal condition and the extent of any venous problems they may have. At our event, you will have an opportunity to meet one of our Consultant Vascular Surgeons who will provide a complimentary 10 minute consultation, including expert assessment and advice. In some cases (thread veins only) our Vascular Scientists will perform a duplex ultrasound scan, helping to identify underlying causes of any venous condition you may have. You will also have the opportunity to discover why we believe that The Whiteley Clinic is the best place to come to, for the diagnosis and treatment of varicose veins. For further information & to book your place, please follow this link to the contact form. Sponsored bike ride – Bristol to Guildford! 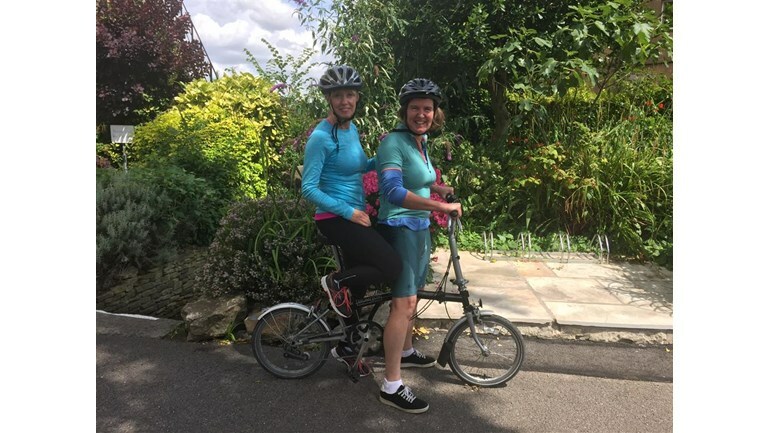 On the 26th September Rachel and Amanda are pedaling from The Whiteley Clinic Bristol to our headquarters in Guildford (approx. 120 miles if they don’t get lost!) in a 24-hour period, to raise money for The Leg Ulcer Charity. Around 500,000 people in the UK suffer with recurrent venous leg ulcers. These can be uncomfortable and painful and are often extremely debilitating. Whilst patients often live with the condition for long periods, many ulcers can be effectively cured with appropriate investigations and treatment. The Leg Ulcer Charity funds research into the causes of and treatments for leg ulcers. They also help patients understand their condition and to seek appropriate treatment and promotes education for medical professionals caring for patients with leg ulcers. They would love to raise £500 for the charity to support their work. To donate or find out more – visit their just giving page. We are a busy practice which has 13 consulting rooms and a day surgical suite in a beautiful listed building in Clifton over 5 floors. Due to retirement, we are looking for an enthusiastic Part-Time Caretaker/Janitor/Compliance Check Person to cover 11.5 hours per week. One Saturday in 3 (7am-2pm). (Extra hours will be available and required on occasion to cover holiday cover, events and weekend operations, you will be paid in addition for this cover). Weekly and monthly maintenance checks including fire alarm and water test checks and assisting our Events Manager with the set up and pull down of events in the building. they will be opening and closing the building and will also have daily contact with members of the public. This is a responsible position with full training provided by the company as part of your induction – including first aid, manual handling and fire awareness. A full job specification will be sent upon request with an application form. Or Please call 0117 317 1438 and ask for Trisha Tanner (Business Manager). Litfield House Medical Centre in Clifton, Bristol, is pleased to announce the launch of the 3rd Series GP Lecture Programme for 2017.